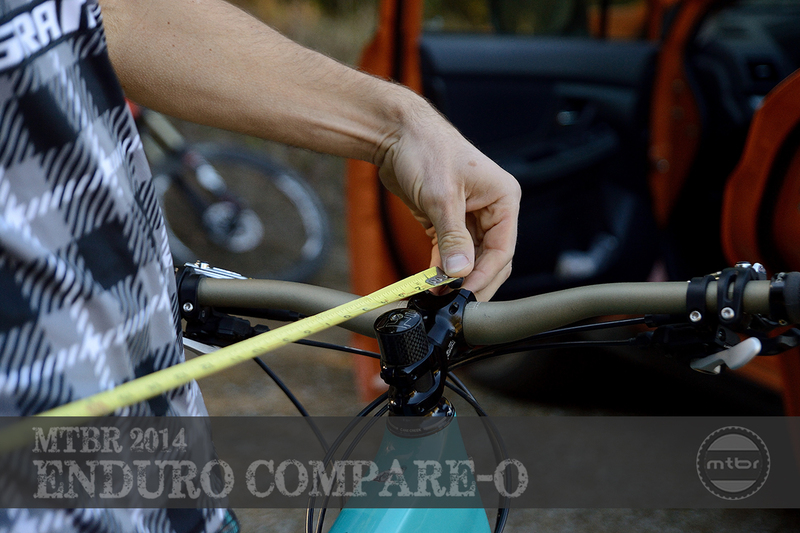 Choosing The Perfect Enduro Bike: How much suspension do you need? Editor’s Note: Here’s round No. 1 of our “How To Buy A Bike” series. Make sure to check out parts 2 and 3 where we ask our panel of experts, Which Wheel Size is Right for You? and what are The Most (and Least) Important Components? First, let’s get this out of the way: No matter how deep your pockets, how vast your skills, how sophisticated your technological know-how, or how certain you are that one suspension design or parts spec is absolutely, positively better than all the others, there is not one perfect bike for you. So how then do you decide which bike is best for you? It’s a matter of narrowing options via a calculated process of elimination, then picking one from the remaining choices, comforted by the fact that now is a great time to plow disposable income into dirty two-wheeled fun. You needn’t be scared of buying a new bike, especially after reading the tips from our panel of experts. Photo by Tyler Frasca. 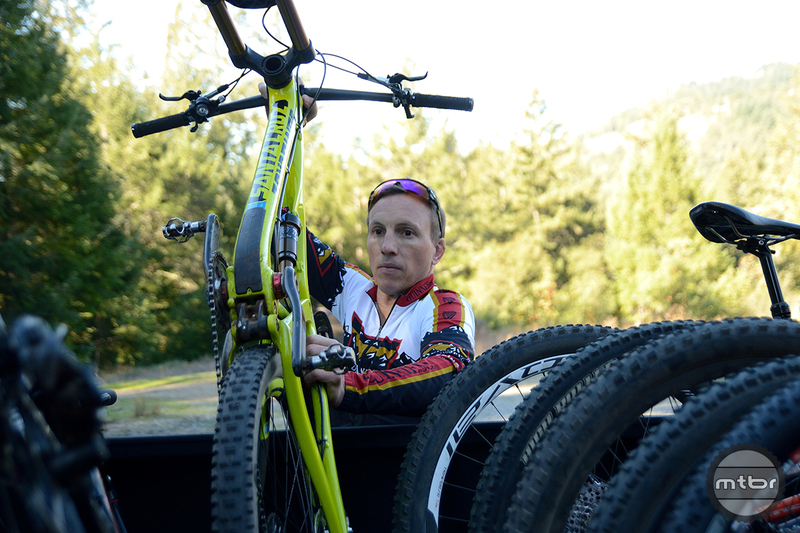 But, says Brandon Dwight, founder and owner of the Boulder Cycle Sport bike shop in Boulder, Colorado, don’t expect that one bike to do everything 100-percent perfectly. Dwight recommends starting the purchasing process by asking yourself a basic set of qualifying questions. What kind of terrain do you plan to ride most of the time? Do you plan to race? And of course, what is your price range? Then it’s time to test ride. And this doesn’t mean rolling around a parking lot, bunny-hopping curbs and bouncing on the suspension. Now that we have some of the basics out of the way, let’s take a look at arguably the most important detail: amount of suspension. To do this, we convened a panel of experts, all of them veterans of the cycling industry and exceptional bike riders. Along with Horgan-Kobelski, Dwight and Banks, our esteemed panel includes former cross-country Olympian turned all-mountain slayer Andreas Hestler, rising enduro racing star Aaron Bradford, and for a woman’s perspective, Heather Irmiger, who besides being married to Horgan-Kobelski, is a former pro cross-country star who’s also now racing on the Trek Factory Racing enduro team. Have a look at their advice below, but know that none of it is THE gospel, because they don’t always agree. And even if they did, the only perfect bike is the one that makes YOU happy. Also check back soon for Parts 2 and 3 of our “How To Buy An Enduro Bike” series, when we’ll answer the question, Which wheel size should you choose, and What are the most and least important components on your new bike-to-be. How Much Suspension Do You Need? 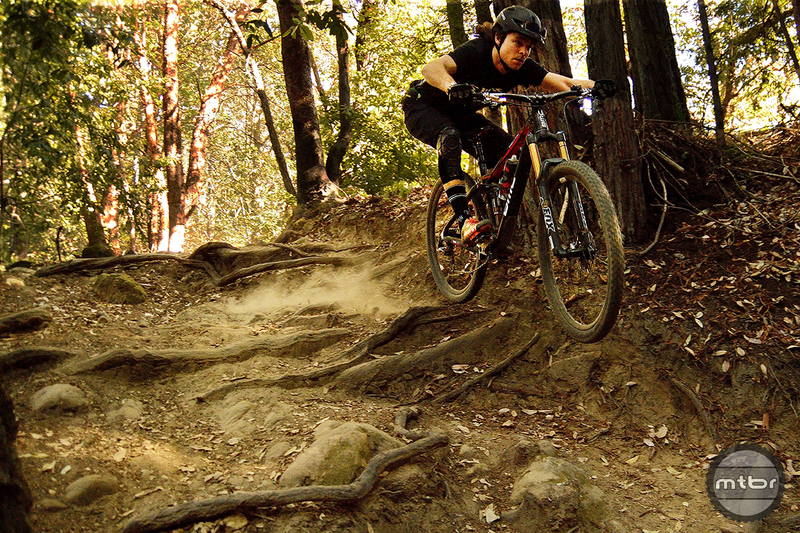 Jeremy Horgan-Kobelski: It really comes down to the type of terrain you’ll primarily be riding. 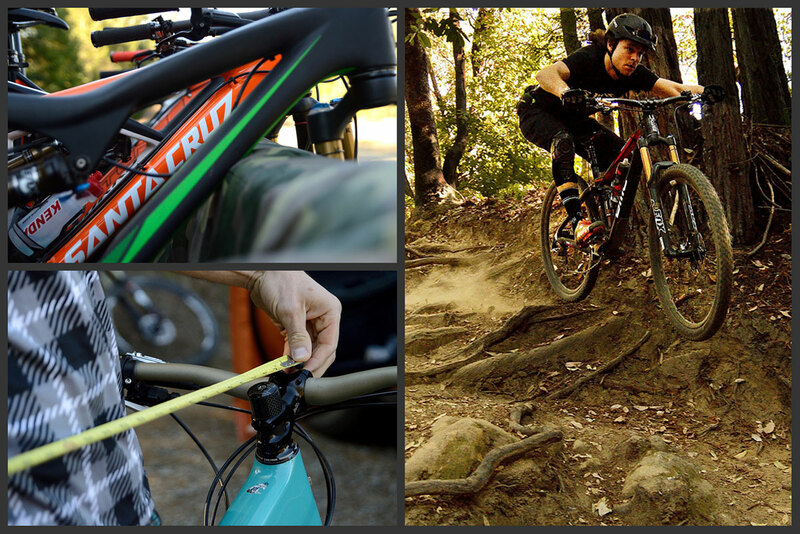 Most trail bikes offer somewhere between 140mm and160mm of travel depending on model and wheel size. If you’re going to be riding in the bike park, on really rough terrain, or shuttling super long descents, I’d err closer to toward the 160mm end of the spectrum. But if the majority of your rides are more XC type trails with the occasional all-mountain ride thrown in, I’d go closer to 140mm. Many riders, myself included, run a longer travel fork with a lower travel rear. 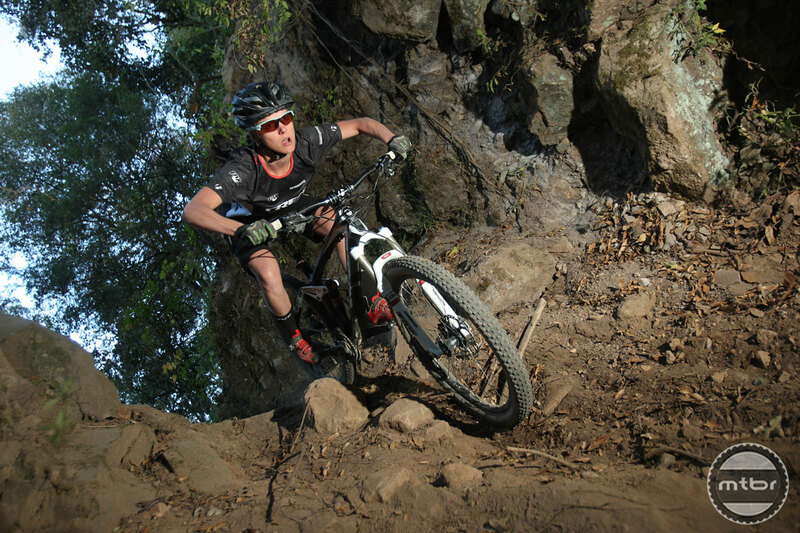 This year I will be primarily racing a Trek Remedy 27.5″ with 140mm in the rear and 160mm in the front. 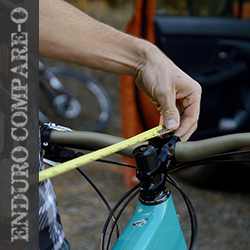 In addition to pinning it on our behalf, BMC pro Aaron Bradford helped tune bikes to our test riders for the Enduro Compare-O. Having someone knowledgeable to help out makes a worlds of difference. Aaron Bradford: Understanding your strengths and weaknesses, be it climbing or descending, will help you choose which bike is the right one for you. If you come from an cross-country background, you’ll probably feel most comfortable on 5-inch travel 26-inch bike or a 4-inch 29er with a steeper head tube angle to more closely resemble a bike you are most familiar with. But if you come from a downhill or motorcycle background, it would be best to go with more travel as you are more likely to ride on the aggressive side. That means a 6-inch 26er or 27.5, or a 5-inch 29er. That person may also prefer a bike with a slacker head tube angle for more stability at high speeds. If you’re unsure on what characteristics you’re looking for, test riding becomes that much more important. 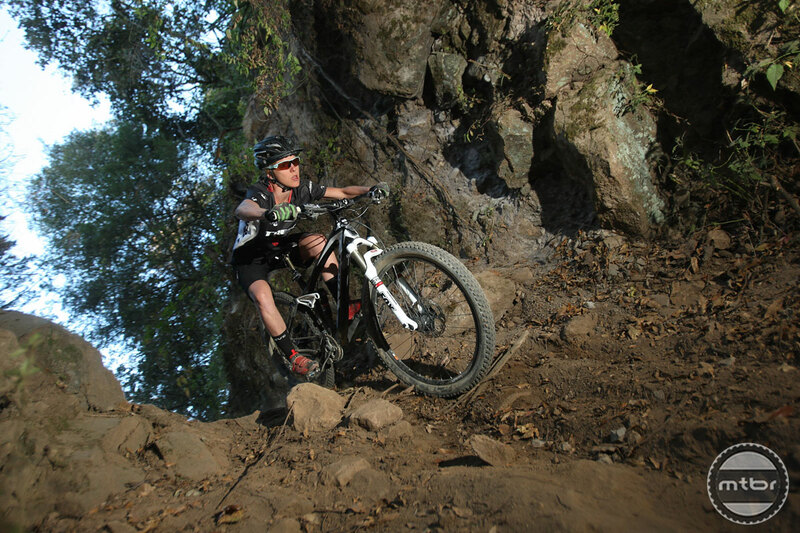 Heather Irmiger: When it comes to enduro bikes, there are essentially two suspension length ranges. Let’s call them long (130mm-150mm) and longer (160mm-plus). When deciding between the two, consider how much pedaling you like to do when in search of great descents. If you’re more of a shuttle/lift-served kind of rider, the 160mm-plus travel option could be great. It will still be capable when you want to pedal uphill, but you’ll get more out of the bike when descending. If you love to earn your turns but still want a bike that is capable on the descents, the 130mm-150mm travel will do you good. You’ll save on weight and gain pedaling efficiency while going up and hardly notice the loss in travel when going down. Size of the rider can be a factor as well. I think lighter and smaller riders can get away with less travel and actually may benefit more from riding a smaller/lighter platform. Personally, even when the terrain is extremely technical, I find myself reaching for my 150mm travel bike because it’s light and easier for me to maneuver in the air or through technical terrain. I find the longer travel bike to be a bit slow and heavy. I’m strong, but tend to struggle to get the speed, acceleration or jump height I want even when the terrain is steep and gravity is on my side. Also, as a smaller rider, I notice the long travel is usually plenty of travel for the amount my body weight works the suspension. Of course, travel advice varies a bit for different wheel sizes too. The larger the wheel size, the less travel you’ll generally find you need if the bike manufacturer has properly nailed the geometry. 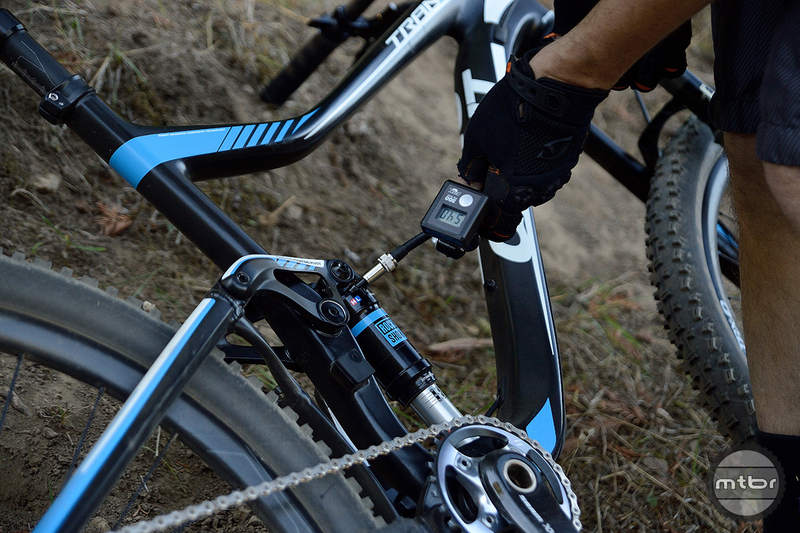 Once you’ve decided on the amount of suspension, how do you test it? Andreas Hestler: First of all, it’s a great time for suspension right now. There are so many good designs out there. My advice is to take your time and play with the settings so you get a real understanding of how things change when you make changes. It can take some time to get a bike’s suspension set-up properly for your personal riding style. And a lot of time this takes more time and patience than people want to put into it. But in the long run, it’s really worth the extra effort. Brandon Dwight: You may think you wont feel the difference between suspension designs, but you will. It’s like buying a pair of running shoes. Even if they all cost the same, different shoes will feel different and you’ll notice it. It’s the same with suspension. But first you need to make sure that the set-up is right, the pressure is correct, etc. Your bike shop will be able to help with this. Aaron Bradford: Each design will have pros and cons. For instance VPP will be fast in rough terrain and brake well because it sits down in the travel. Whereas the bike I’m on now has a dw-link so you sit more up in the travel so it feels like it accelerates quicker. Also, I personally like to have travel adjustment so you can lower the front end and get into a better climbing position and more responsive handling on rolling terrain due to a steeper head angle. But travel adjustable forks come with a slight weight penalty, so you’ll need to decide if the pros outweigh the cons for what you want to do on the bike. Heather Irmiger: I would stand on the pedals and push down with your upper body and legs at the same time. Watch — and feel — to see that the rear and front suspension are matched with how fast and smoothly they compress. If one compresses before the other, have the shop adjust them so they are working together. This will give you a more accurate idea of how the bike itself performs rather than mismatched suspension making you feel like the geometry is no good. Like JHK says, proper sag and suspension setup are critical to properly evaluating a bike. Photo by Tyler Frasca.